Before kicking off a home addition project it is imperative to first have a home addition design and construction plan in place. There are numerous places to find affordable home addition designs. Do a simple internet search on the web and you can find a host of home addition designs on websites and magazines. 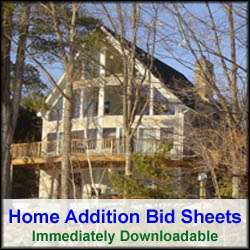 There are many generic stock home addition plans available for sale on these websites and magazines. In many cases you can use them as is, however you can also customize them a bit to meet your specific home addition design requirements. As an alternative to buying a stock home addition design, you can create your own unique home addition plans via using a home addition design software package. Again, there are many affordable home addition design software packages to choose from. A home remodeling design software package typically costs about as much as one or two hours of labor from an architect, so buying a home addition design software package is well worth the investment. Even if you only use the home addition design software package to create a basic floor plan to present to an architect, it can save you money and help with the definition of your home addition design in the long run. When searching through stock home addition designs and plans it is best to look for ones that are of the right scale to your existing home. It is important to remember that you are planning an addition to your home, and not the other way around. Typically the home addition should not exceed more than 1/3 the square foot area of the existing home. Also make sure when evaluating home addition designs that they are structurally and aesthetically appropriate for your home. For example, putting on an adobe style home addition on to a colonial style home is an unlikely match both structurally and aesthetically. I know this is an extreme example, however stranger marriages between homes and home additions have happened. Also, you may want to enlist the services of an architect for evaluating your prospective home addition designs to make sure he/she doesn’t see any structural issues. They may also be able to modify the home addition design and blend it in better to the existing home. 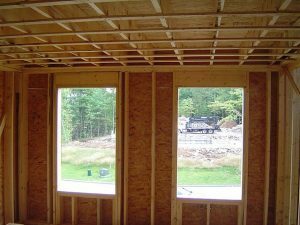 Besides coming up with a home addition design, it is also imperative to have a solid home addition construction plan in place. The home addition design is essential for defining your home construction project and for pulling the construction permits. A solid home addition construction plan is critical for making sure the construction project goes smoothly and on budget. Take the time to interview multiple prospective home remodeling contractors and check their references. Make sure to choose a home addition contractor that has put together a very detailed schedule and construction bill of materials that is consistent with your home addition design and plans. 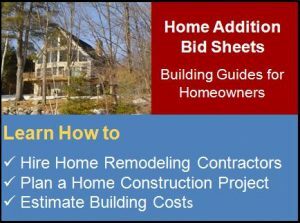 In general, the more detailed the contractor bid, the increased likelihood that the home addition construction project will go smoothly and on budget.